Just wanted to add my two cents to this blog for anyone who is still nervous about this election, who still worry that we will be disappointed once again. I remember four years ago, working for Kerry, going to Ohio the night before the election to volunteer, and watching the returns election evening, and believing Kerry was winning, and then to have the rug pulled out from under us, which left us with four more years of misery with George W. Bush. My daughter-in-law went with me to Ohio with such great expectations, and then we returned home on the bus in tears … Kerry lost, he lost Ohio, the state we worked so hard in. THAT WILL NOT HAPPEN THIS TIME! Irish-Catholic running and winning … could never happen. Well, we know how that turned out. It was a tough race, and I remember finally going to bed at two in the morning believing he had lost, and that Nixon would be our next president. Then my dad came in to my room and said “we won, we won! !” I’ll never forget that morning. Kennedy’s chances were so slim, and his win was slim, but he won. Barak Obama is doing so much better and in a better place than Kennedy was all those years ago. The excitement I saw around Kennedy, I’ve now seen happening with Senator Obama. Only this time, I’m all grown up, and I knew that this time I could do something to help him win, and perhaps to win big. So, I got off my “you know what” because sitting around worrying was not going to elect Senator Obama to the presidency. I had a purpose. I’m up there in years, I’m not worried about my future, but I am worried about my 6 grandchildren, who I love more than anything in this world, and seeing another Republican become president to potentially make their world and their future questionable, I knew I had to do something. So, I’ve gone to Virginia three weeks in a row and I’ve knocked on doors. I’ve done phone banking as often as possible. Doing these kinds of things is not in my DNA, I don’t like to make blind phone calls, or knocking on stranger’s doors, it’s not easy, especially when a phone is slammed on your ear, or a door is slammed in your face, it can shake your confidence, but that doesn’t matter how I felt, I didn’t do it for me, I did it for my kids and their kids. I worry about what kind of world I will leave behind. This was my way to maybe make a difference. Leaving them a safe and secure world is the most important thing I can do, and I hope and believe that Senator Obama will give our children the world they deserve. I was phone banking last night, every space that could be used to phone bank was used, and the majority of the folks, and I had some good results with more people saying they will vote for Senator Obama. A not too many saying they will vote for McCain, that made my night. It is 6:37 p.m. on the eve of the most important election in our lifetime, which means there still is time to volunteer. You can make calls for Obama, you can volunteer to phone bank. You can drive people to the polls who have no way of getting there. Tomorrow, after I vote, I will go back to the Obama campaign office and start matching people who cannot get to the polls on their own with folks who have volunteered to drive. If you can’t do some of these things, then drag someone to the polls with you, remind people to get vote, do whatever it takes, and we will have a President Obama on Wednesday morning. We will not have what happened four years ago happen again. This is the time for Barack Obama, let’s make it happen! Before you have children, you live your life for yourself. The decisions you make are based in what’s best for you. But that changes when you have children. I should know, my wife and I have three beautiful young children. Once you have them, everything changes. Your life is not your own. This isn’t simply about losing freedom for eighteen years why you raise your family. It goes to the decisions you make. All of a sudden you want to save the environment because you are worried about your children’s world. You save more money because you want to make sure they have everything they need growing up. You change the way you live your life because you want to make sure you are there for them and give them everything you can. You also look at elections differently, particularly in the world in which we are living today. Rather than look at the short-term, your view becomes longer. Who is the candidate that is going to protect my kids the best – with social programs, preserving the environment, defending our home land, and ensuring that the next generation grows up with better opportunities than we had. If you have kids, you understand where I am coming from. If you don’t, trust me, when you do – these are the things you will think about when you vote. I’ve always been a Democrat. My hero when I was ten years was John Kennedy. When I was 16, I remember listening to Mike Dukakis the morning before the election talk about moving into 1600 Pennsylvania Avenue and watching him lose the next day and being devastated. In 1992 after Bill Clinton won, I remember taking a solitary walk on campus to ponder what it mean that Clinton won. And in 2000, the last election before I had kids, I was beyond devastated after Bush stole the election. 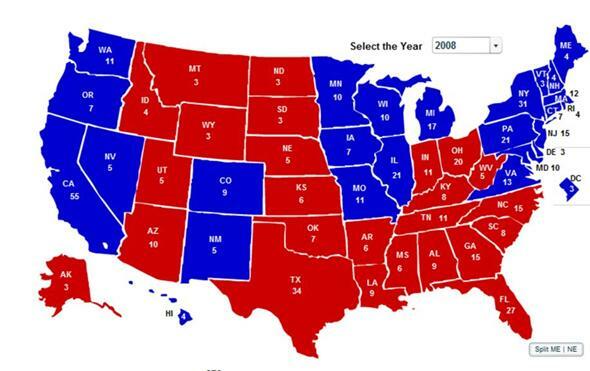 But in 2004 and now in 2008, the election has meant so much more. I am willing to cross party lines if it meant the best future for my children. Voting for George Bush was not an option four years ago. The ire the world had for his politics, the dangers he created, and the disregard for the condition of the planet made my decision easy to vote against him. As a Democrat, Kerry also shared my core values that added to my convictions. With this election, I was a Hillary Clinton supporter. I believed she presented the best policy positions for this country. It was a difficult decision, as I watched people I respected like Ted Kennedy and Bill Richardson support Barack Obama. When Hillary lost, I finally found the time to get to know Barak Obama. Looking back, I wished I would have supported him from the beginning. This election and this time is very different from most of our history. 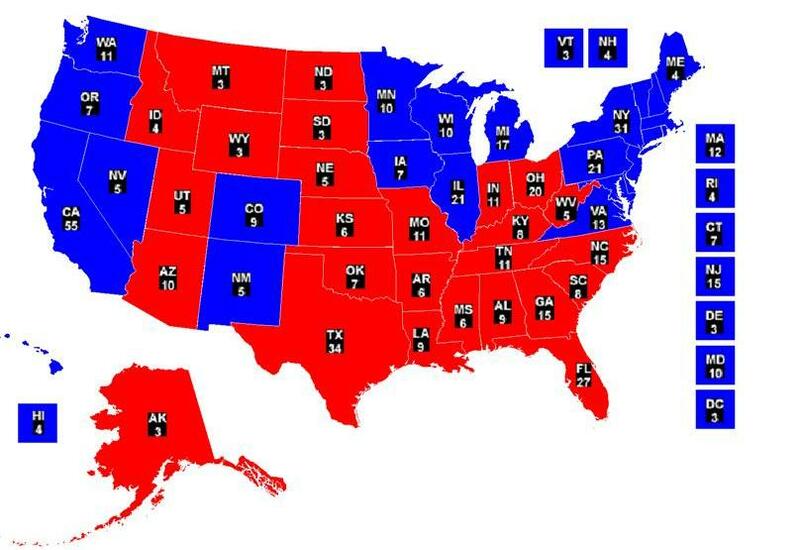 With the possible exceptions of 1860, 1932, and 1940, this might be the most important election we face. Our challenges are daunting, the morale of the Country is down, and our respect around the world is at an all-time low. It scares me that my children are living in a country that has fallen so far over the last eight years – further than anyone could have imagined when they said, “So Bush won. How bad can he screw it up in the next four years?”. We now know the answer to that question. We need a president who not only can speak to policy, but can give us hope while we spend years repairing the damage that has been done to our Country. This is not the time for a Jimmy Carter, Gerald Ford, Richard Nixon, or Lyndon Johnson – or my hero Bill Clinton (the White House version – not the ‘on the stump’ version). This is a time for a Ronald Reagan or John Kennedy. We need a president who can uplift us, sell us on our future, and bring people together. At the same time, we need a president who can progress policy to fix this country. Barack Obama is that man, John McCain is not. For the moment, leave policies aside. John McCain, while he may have made a decent president in the mold of Johnson, Nixon or Carter eight years ago, he does not have the ability to unify and transcend politics and policy. His speeches on the stump are not awe inspiring, they are not positive, and they do not talk to the greatness of the American people or the country. Yes, he talks about his love for the Country and that our best days are ahead. But do you feel moved when he talks? Obama has the ability to inspire, to give us hope, and make us believe that our future can still be bright. This is the gift that Kennedy and Reagan had, and this is what the country needs now – more than ever. A 47 year-old man with two young daughters provides me clear evidence his priorities are the same as mine. A 72 year old man at the end of his political career does not provide me any belief that he’s got my interests (or my children’s) at heart. I know why Obama wants to be president, I am not sure about McCain. Looking at the policies of the two candidates, I can very much say that Obama’s take a much longer-term view. He does not want to fix the economy with quick solutions that create more debt and problems that are pushed to our children. Obama doesn’t believe in ‘drill baby drill’ as a quick solution. He believes in an energy solution that fully frees us from foreign dependence and protects our environment. It’s clear our allies around the world believe Obama will restore the good name of the United States. In a world that is becoming more interdependent, that is important. His belief that we should talk to anyone and find a diplomatic solution verse McCain’s belief in hawkish foreign poicy is the right choice to protect my children. Obama believes strengthening our aging infrastructure so that the next generation is safe and secure. He believes in maintaining the social programs that protect us and have given millions of people (including my grand parents) the ability to live the American dream. To me, the choice is clear. It’s time to make a change. It’s time feel like there is hope again. It’s time to give my children the gift of an America to be proud of. It’s time to elect Barack Obama as our 44th president. One more day and our future will be bright again.